A new study demonstrates that diesel pollution may be so aggressive in many of our big cities that it actually restricts children’s lung development. The research—from researchers at the University of Edinburgh, King’s College London and Queen Mary University of London—looked at 2,000 children over age five. 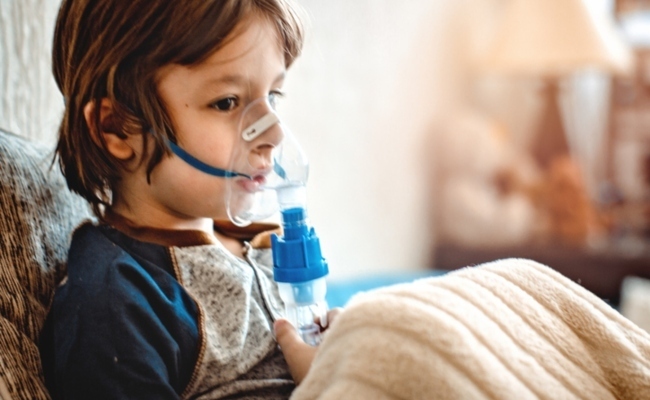 Publishing this month in the “Lancet Public Health” journal, the research investigates the impact, if any, of London’s Low Emission Zone (LEZ) on childhood lung health. First introduced in 2008, the Greater London LEZ has been phased in across the city to try to drive down emission rates, particularly in notable residential and highly trafficked areas. Road users pay a levy for using their vehicles within the zone. So has the LEZ had any effect? There were some encouraging signs. For example, at the start of the study 99 percent of children were living in areas where the air equality exceed the European Union’s NO2 limit. By 2013, only 34 percent were living in those areas. Now, that’s still too high, but the reduction is marked and at least shows a definitive trend in the right direction. There was a caveat to that, though: while children were no longer living in areas that exceed the NO2 limit, many were still having to go to schools that had higher pollution levels. The researchers say that while they believe that Low Emission Zones can work, the impact in London has been modest at best. The more eye-catching results, though, come from what the researchers found about the participants’ health. The researchers say they found a link between exposure to nitrogen dioxide (NO2) and other nitrogen oxides, which in our cities usually comes from diesel road vehicles, and around a five percent reduction in child lung capacity. Lung capacity is characterized by the amount of air that our lungs can take in at any one time. It actually peaks early in life, at about age 18, and thereafter it steadily declines. A reduction in lung capacity can lead to a number of health problems, chiefly what are known as “stunted lungs”. This increases the risk of childhood asthma. If breathing capacity is compromised at such a young age, the decline of lung capacity after the age of 18 could become more problematic and set off a chain reaction of health concerns. For example, a person may struggle to exercise, because they get out breath more quickly. They, therefore, may begin to gain weight, something that could further compromise their health by upping their chances of heart disease, diabetes and other health problems. The impact of reduced lung capacity can be broad and, for some people, potentially devastating, so this finding is really concerning. While the research cannot directly translate to other cities in the UK and beyond, we know that air quality in many parts of the world is notoriously poor. These results should be a wake-up call not just for the UK but for other major cities. The researchers are also critical of the “piecemeal” approach to air quality improvement, saying that this study and other independent research demonstrates the need for an Ultra Low Emission Zone roll-out that tightens restrictions on polluting vehicles and extends the zone’s coverage to include more at-risk areas. From April of 2019 a ULEZ will come into effect in central London, with the potential to roll-out in other areas should it prove successful. What is interesting about this study is that the researchers are not pulling their punches when it comes to laying blame, namely at the car industry that is fighting every step of the way to keep hold of diesel vehicles. The car industry is fighting with all its might to try to prevent the EU from phasing out diesel vehicles in favor of electric vehicles despite the fact that studies have demonstrated nearly all new diesel cars are exceeding pollution limits. Clearly, for our children’s health, its time our governments stopped kowtowing to the car industry and started taking the health of the general public seriously, because on this issue there can be no excuses: clean air is a human right. I have the condition known as multiple chemical sensitivity, or "environmental illness." Of all the exposures I react to, diesel's only competition for most toxic is air "freshener." I'd love to see diesel banned everywhere, starting with school buses! And all those polluting diesel vehicles are being dumped in third world countries where the new rich all want a SUV for status reasons, irrespective of whether they really need it or how much it costs. Surely even climate deniers have to admit this pollution is gradually making people sick. Apparently, in the US, politicians are okay with sh*tting where they eat, as only a few are trying to do something about our air and water pollution.